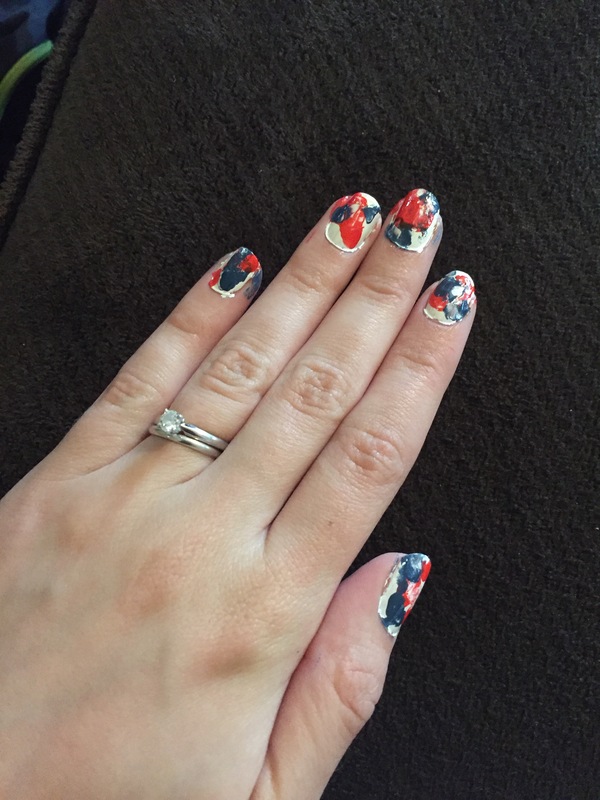 I found this idea on Pinterest! 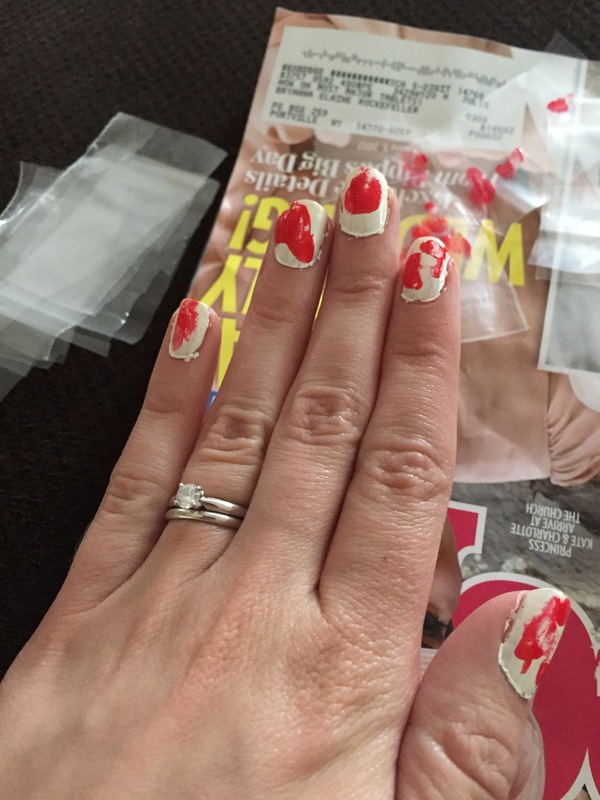 Step 1: Paint nails white and let dry. 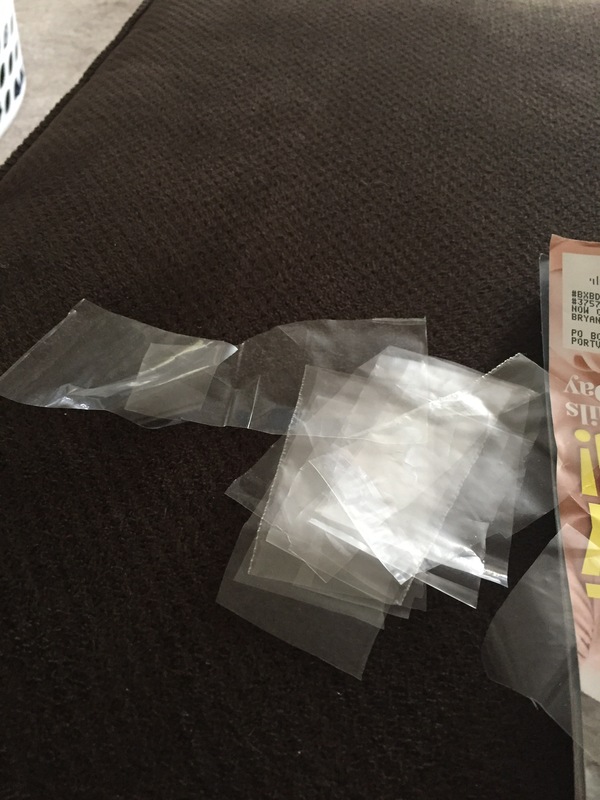 Step 2: Cut a sandwich bag into small pieces. 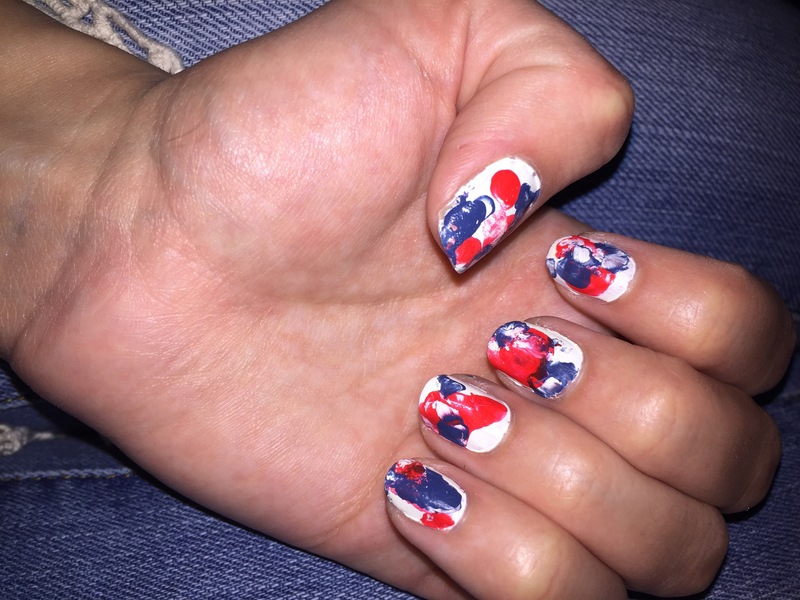 Step 3: Put some random, thick dots of red on each nail. 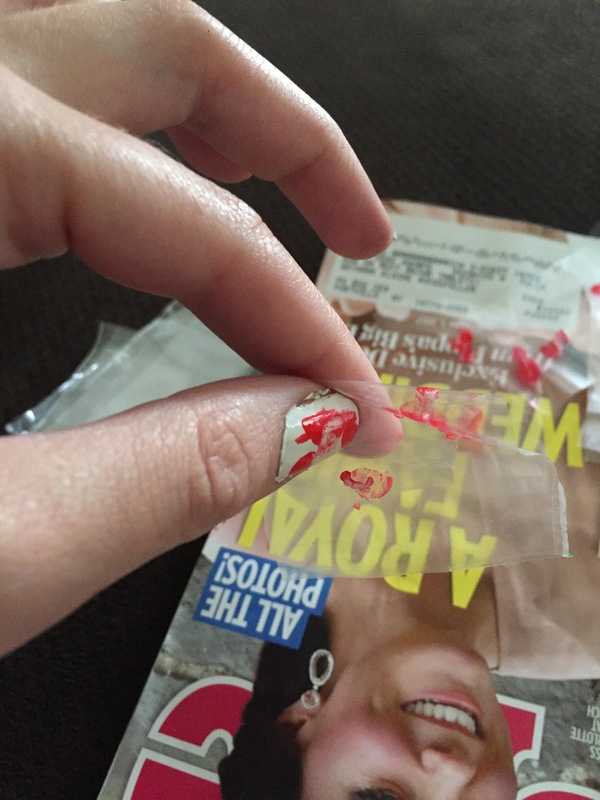 Step 4: Place a piece of the plastic over the nail and press down on the red to spread it around. Let dry. Step 5: Do the same thing with the blue. That’s it! It’s that easy! You’re done.